Wash asparagus thoroughly and pat dry. Remove the hard, fibrous ends if necessary. In a grill pan over medium-high heat, melt the coconut oil. Add the almonds and let them roast for 2 minutes. Then add the asparagus to the grill pan. Move them around to get them coated with coconut oil and almonds. Cook for 8-9 minutes at medium heat. Transfer to serving dish and top with any almonds left in the pan. Enjoy a delicious side to your main meal! I love almonds and asparagus, but never thought of putting them together. And coconut oil would be a great change from EVOO, which is my staple. Thanks, Emily! Wow! This is a wonderful combination. Sounds really yummy. 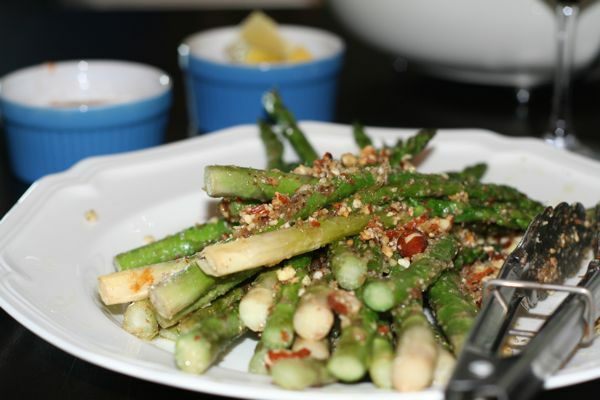 I adore almonds sauteed with zucchini, but hadn’t thought to try them with asparagus. Thank you for the inspiration! 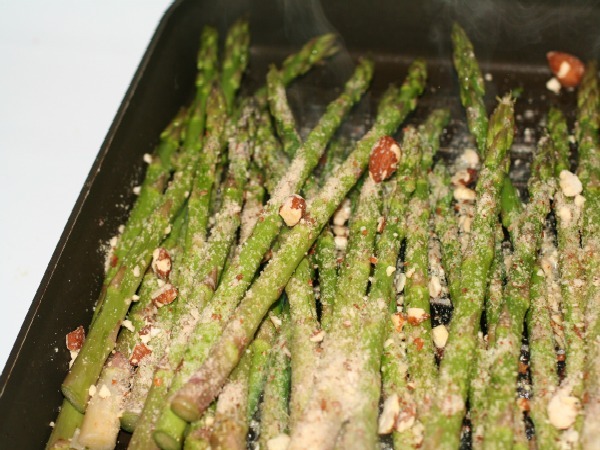 I love asparagus AND almonds… why haven’t I thought of this before!? Looks amazing, and now officially on my recipes to try out list! ohh you make asparagus look so good! Yum! Asparagus is one of my faves! This is a great way to make it more exciting!